About – LUGANDAPROZ TRANSLATIONS INC. Written by – Jaliah Nabbowa, C.E.O & Co Founder. The need to connect overseas clients to native language speakers in Africa prompted us to start a translation company. I remember getting daily emails from previous clients who needed me to connect them or recommend other linguists who could help them translate other native African languages. So I would do some light project management until I decided to create a translation website and reach out to even more clients. I contacted fellow trusted linguists and they bought my idea. 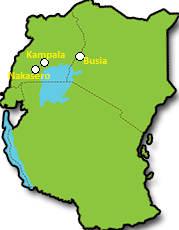 We started with a team of about 10 in 2013 and we handled only East African languages. However, we wanted to handle more and as time went on, we managed to sign up over 120 native language speakers whom we trained into becoming expert translators. With a large experienced team, Lugandaproz became Lugandaproz Translations Inc., a company that can translate any African language easily, with the shortest turnaround. Lugandaproz translations Inc. handles translations of African languages spoken by natives. We can translate them into or from these languages: English, French, Spanish, Germany, Chinese, Portuguese and many other popular business languages. Translating is a passion, not just a job. So whenever we are working on a project, we give it 100%. Besides translating, we also make video subtitling, audio voicing, interpretations, localisations, advertisements and transcriptions. There is absolutely no limit to what we can do for you. From Legal, to personal documents, we got you covered, every single day. CONTACT US / REQUEST FOR A PRICE QUOTE. After submitting your form, we shall send you a confirmation email shortly. Thanks.